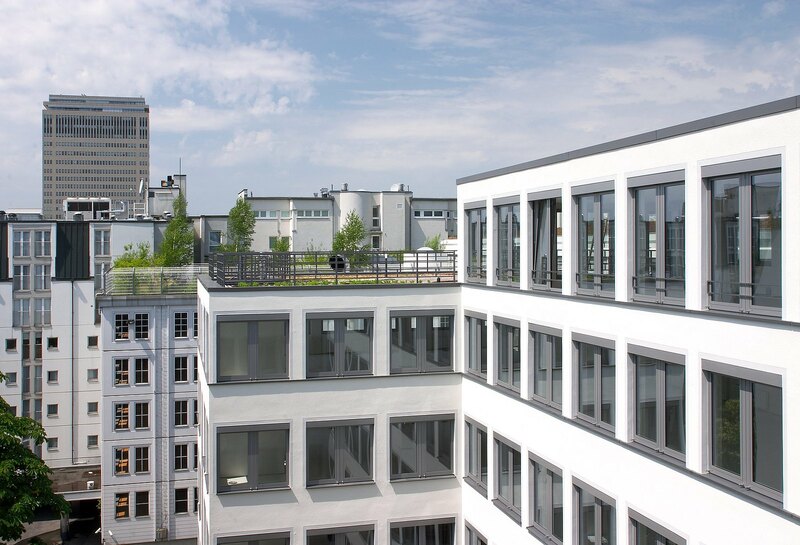 The Jo20 office building has an enviable location in the heart of Berlin’s City West district, within walking distance of the Ku’damm. 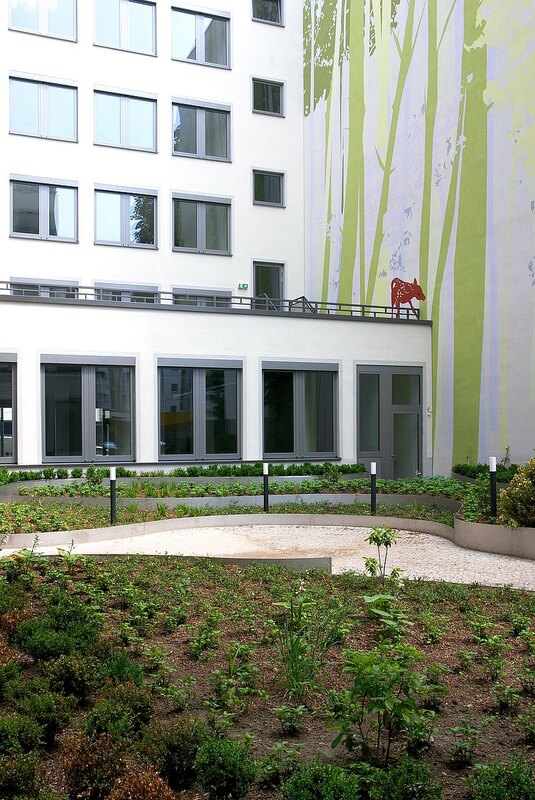 With the vibrant business quarter to one side and the cultural life of Charlottenburg on the other, the property is central and urban. It is also well connected for transport: several bus routes and the S-Bahn/U-Bahn stations of Zoologischer Garten and Kurfürstendamm ensure ideal connections to all parts of the city as well as the main traffic arteries and airports. 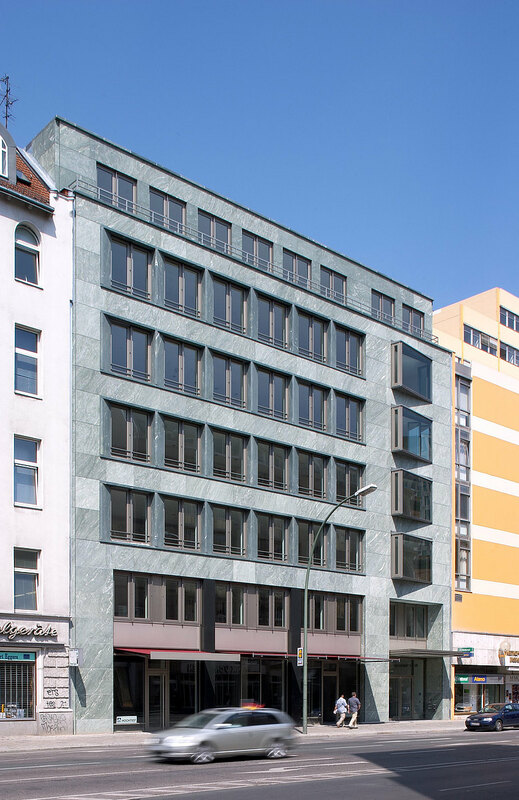 With high profile neighbours such as Kranzler Eck, Swissôtel, Allianz, IHK and the famous KaDeWe department store, this is clearly a classy location. The building is fully let. All floor space in Jo20 can be flexibly arranged into open plan or single offices, conference rooms or reception areas. Either way, light-filled rooms generate a pleasantly welcoming working atmosphere. Optimised ceiling heights, modern facade grids and three utility service shafts ensure maximum flexibility and high space efficiency. Entire levels or smaller units of floor space may be let. The structure’s natural stone facade, grassy inner courtyard and plant-filled terraces lend the building a prestigious appearance. 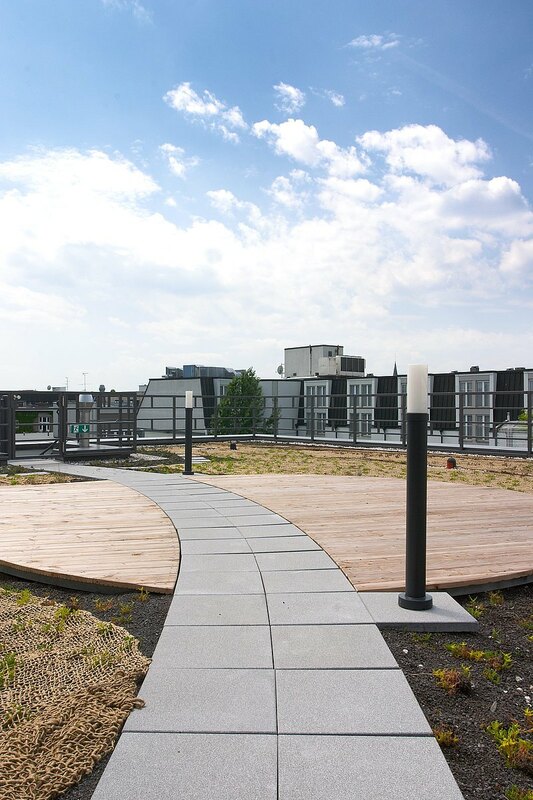 Offices in Jo20 can be fitted precisely as the tenant requires, and to a consistently high standard. Visitors arrive at a distinguished reception area with an attractive lighting scheme. Mechanical ventilation and aeration systems ensure good air quality in the offices and conference rooms. The building’s safety concept includes video intercoms for all rental units. A sufficient number of parking spaces is also provided. 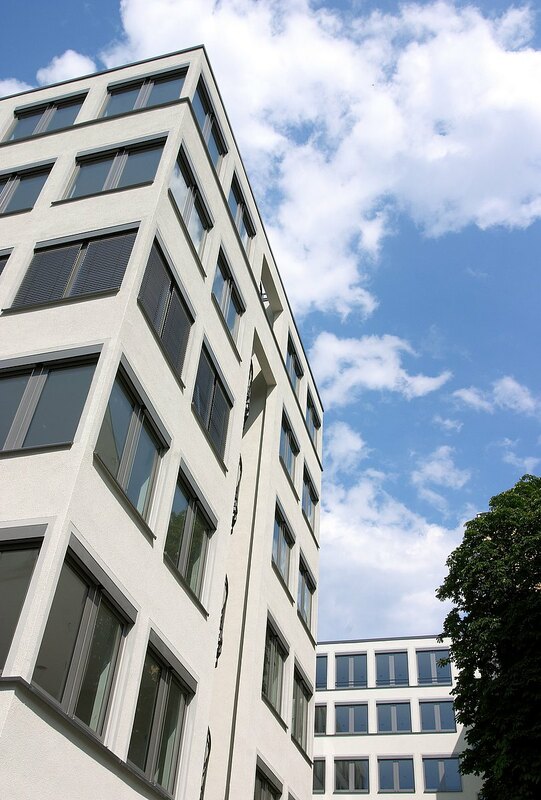 Do you have any questions, or need more information on the Jo20 building in Berlin? Simply contact us!